Straight to the point: If you’ve set your life out to make the world a better place, we want to stand beside you. If you have a message of hope and love but need a microphone, we can provide it… along with an amp… and a bunch of speakers. First off, we reserve the right to decline services to anyone for any reason. So if we don’t agree with your message, you might not get a bid from us. But with that said, if we strongly agree with it, then your bid will likely be quite affordable… a non-issue. See, we really are good at what we do, and the influence of that expertise draws lots and lots of attention. Let’s talk about what you’ll do when all the eyes (and funds) are on you, and see what we can dream up together. King David’s life was forever changed after he killed Goliath and cut off his head. Post-Victory, an entire nation regarded him no longer as a little boy with big ideas. Well, please see our sample sites below. Click through and play around. We have a lot of heads on the table in this area. This is vital, especially for non-profits. If you run off of donations, people need to know and trust that you are going to be around, be legit, and not squander their money. Nothing sends off red flags like a bad logo. Now, on the other hand, think of the logos of World Vision, The Red Cross, The United Way… It matters. Whether you’re a non-profit or a ministry, you likely are generating a lot of content (or you should be). Your words, your blog, should not be a pain for people to read about on their phones. Some sites are hard to read, and they don’t get read. That means they don’t get their word out, so they don’t grow their platform, which means they don’t get the funding they need, and pretty soon they don’t exist any longer. The good news is that the exact opposite is true too! If you are developing a product (book, subscription to a blog, etc), and you need to build up your platform and go viral, this will get it done. Inbound Marketing is the new way to get a message out, literally, to the whole world. Stop for the One exists to live out the simple Gospel of love through sponsorship programs. They see the simple power of love in action transform the lives of many every day by providing, education, food, care, and love. They believe love looks like something and their desire is to inspire and encourage people to live outside of themselves. 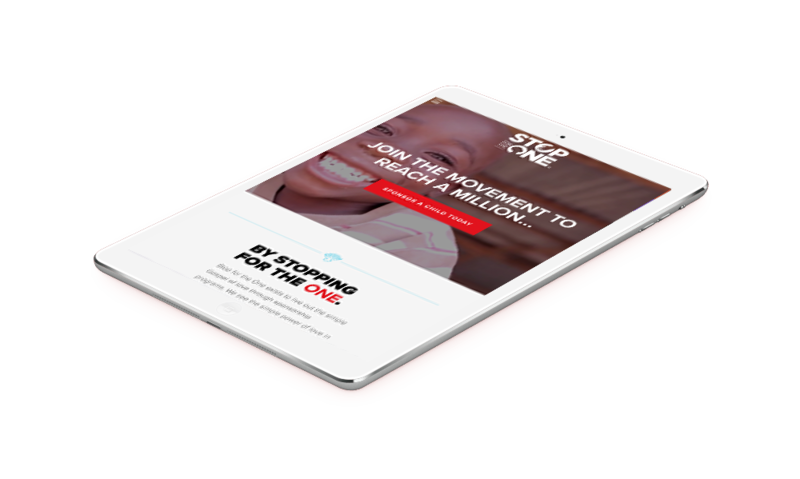 We at JCI believe in Iris Ministries, which includes Stop for the One. They are changing the face of Mozambique, and we are honored beyond words to have created a site to help people all over the world step up and support children in need and under their care. 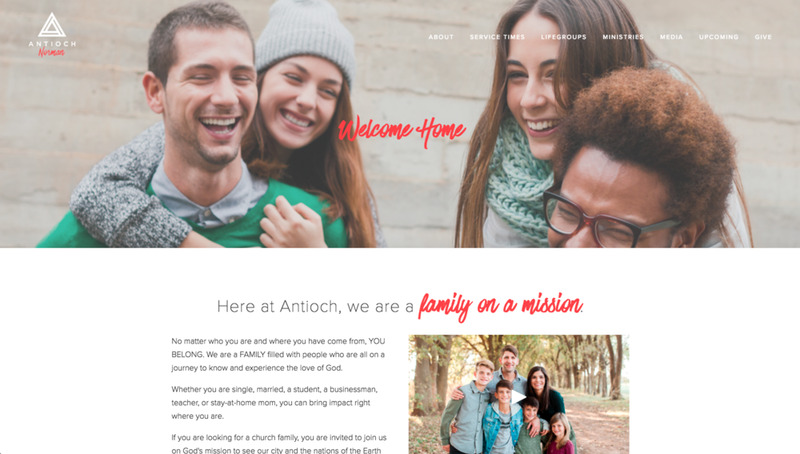 Instead of spending space here telling you how Jared and his wife Erin are the hosts of Danny Silk’s “Loving On Purpose” podcast, or how Jared is on the board of this ministry, we should talk about the website. So, check it out. This site is unique, as the home page is a visual and image-based navigation for the site. There’s a lot of creativity going on here, and the ergonomics of the page flow are out of the box and yet very effective. In a perfect world, every orphan would get adopted. Well, in a perfect world, there would be no orphans at all. But that's not the world we live in... yet. 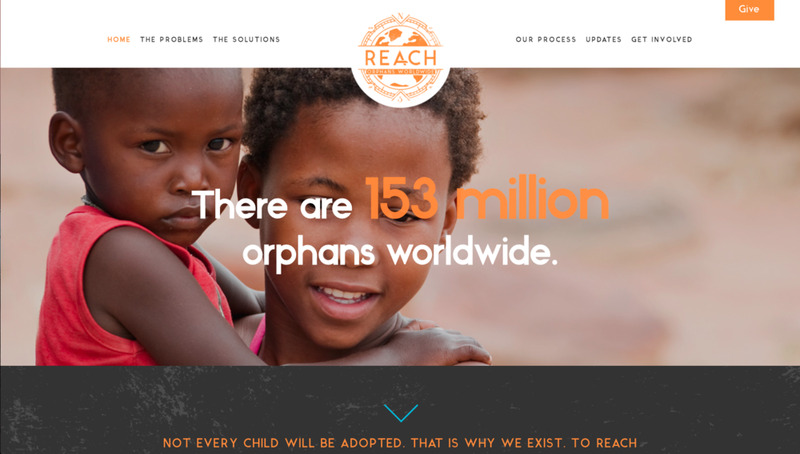 Reach Orphans Worldwide has a unique focus on those children who will never find a family. Their organization, and even this site that we got to create for them, allows you to be a part of this worldwide movement in reaching and providing for these precious children. "For every child, a bright future." Back in ministry school in 2012, Jared got to travel to churches all over the US with his mentor, Steve Backlund. One wonderful trip was to Norman, OK, just outside Oklahoma City, to Antioch church. This church is so alive. There's a buzz of love and anticipation for goodness in every moment. Jared and his wife Erin ended up building a lasting friendship with pastors Chris and Julie Bennett, as well as many others in the church. When it came time for them to refresh their church's website, Jared did everything he could to be chosen, not for their friendship, but because of JCI's excellence. We're proud of this site, and it normally is one we show to churches considering hiring JCI. Ian Carroll is a man on a mission... a father to fathers, a unique combination of hope and encouragement with straight talk and a voice that makes you want to set your sights higher. He is the Senior Pastor of Greater Chicago Church, also a client of ours. We had the unique mission to create the comprehensive brand for Ian's ministry as well as the website. We actually also did the same two projects for his church. What made this a more unique project is that, although the church and Ian Carroll Ministries are two different entities, they wanted their to be cohesion between the brands/logos/sites in style and voice. We feel really proud of the end solution we designed and developed for them. Thank you Ian and team! Stay up to date on what's happening at JCI!